The house is suddenly very quiet. Tis the day after Spring Break and nothing is stirring – not even the mice (more about them another time). The children have returned to school after two weeks of fun in the sun doing a thousand things we’ve never done before. We didn’t get through the entire list we made and added some unexpected activities along the way. We had the best time, so much so that Rémy begged me to home school him yesterday as he came down with a severe case of Sunday night blues. The highlight has to be the visits from Ilse and Meeno and their two gorgeous girls. 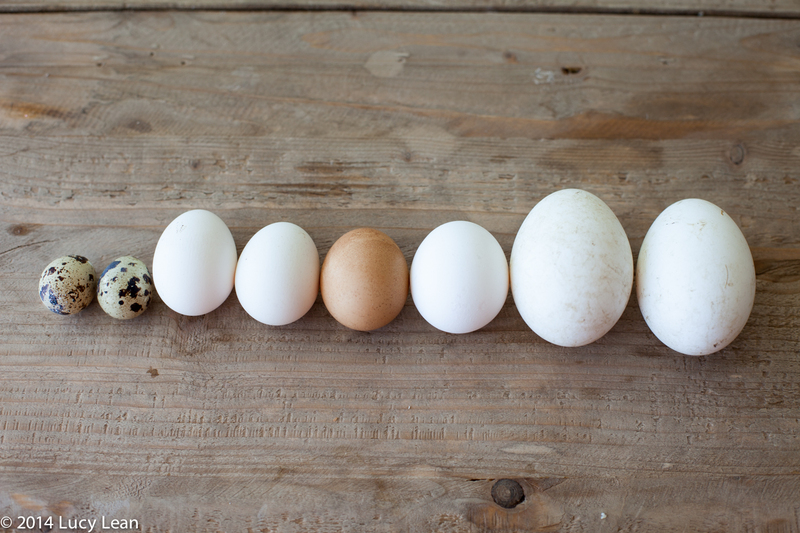 They would arrive with freshly laid eggs from Sky Farm – in all shapes and sizes – from the small delicate white bantam eggs to the pale blue aracauna eggs to the large white goose eggs. 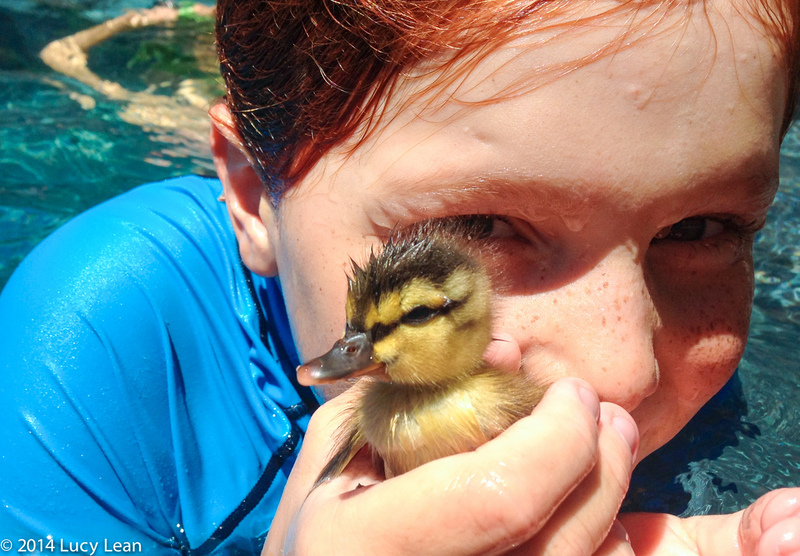 Then, somewhere in the middle of the long lazy sunny days of Spring Break, just when things seemed like they couldn’t get any better along came Gigi – a duckling rescued from Los Feliz Boulevard by a rock star. Only in LA. 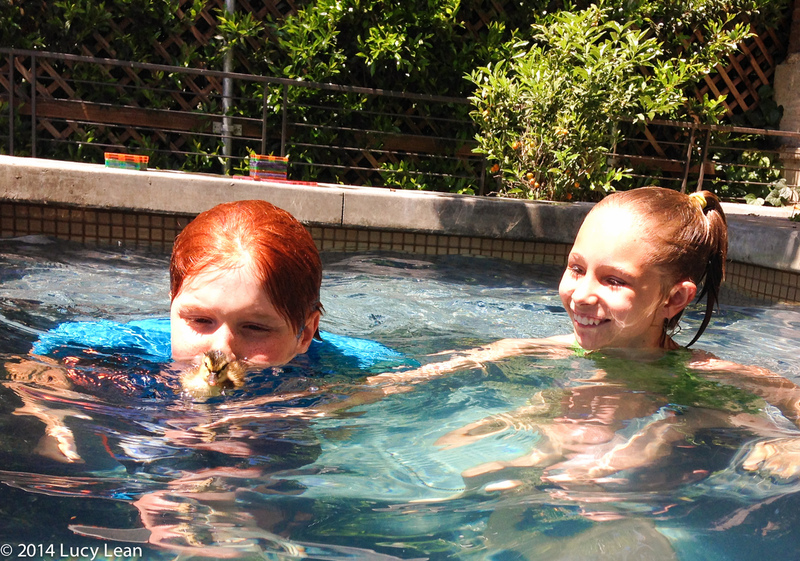 The excitement of swimming with a duckling in the pool. 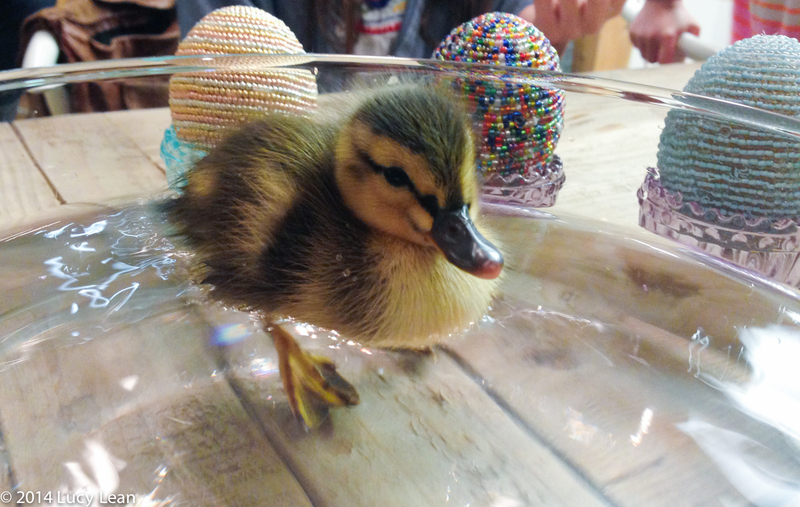 And then we all came inside for mac and cheese and Gigi took a swim on the kitchen table in a large glass vase, amongst the left over Easter eggs. Her gentle but persistent chirps between drinks of water and bids for freedom. 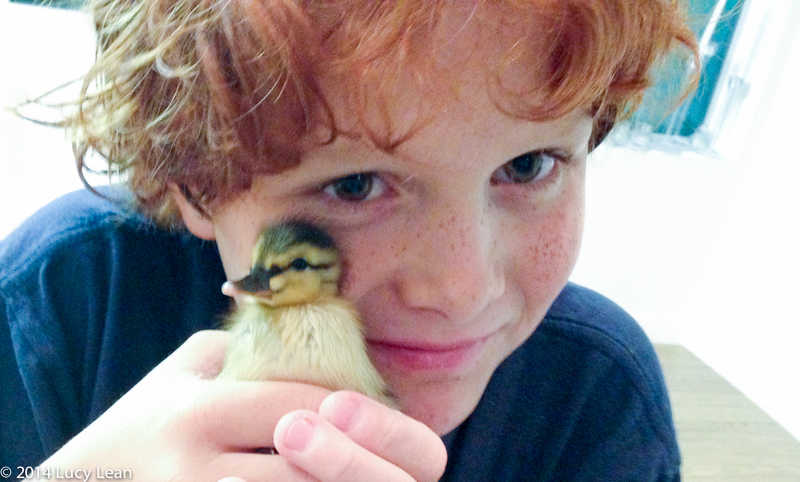 A childhood memory of holding and petting this tiny fluffy duckling will definitely stay with Rémy and Minty for years to come. 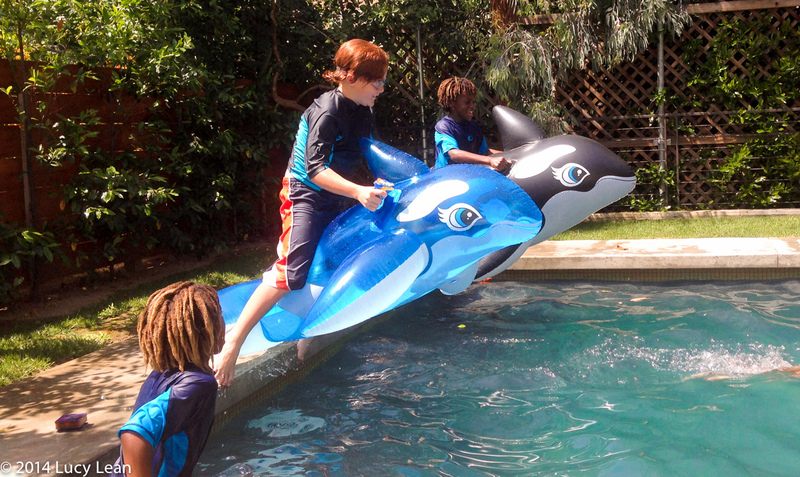 And then it was almost over – the best of times turned into the worst of times for Rémy – his Earth Day project completed and his Ocean Pollution Prezi downloaded onto a flash drive, the dreaded school bags were packed with books and lunch boxes discussed. It was the last night of the holidays and time to eat the last of the eggs – two white bantam eggs, two blue hens eggs and two majestic goose eggs. 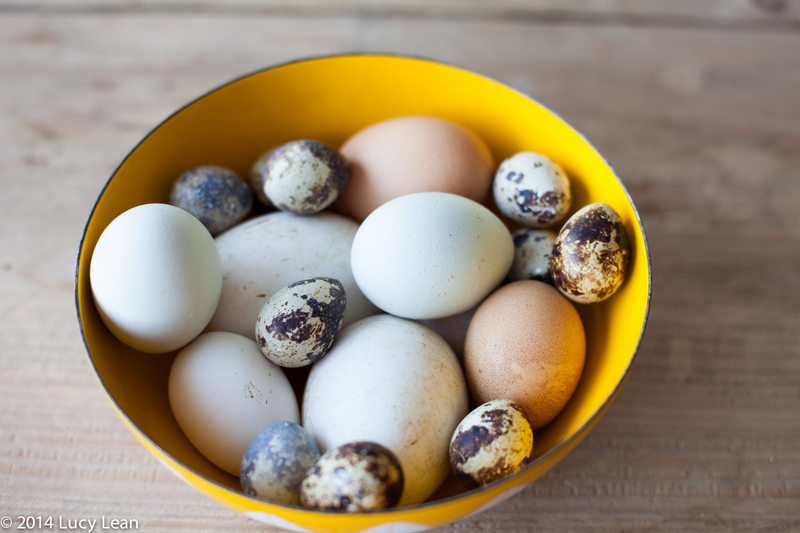 The quails eggs are to be cooked up another day – perhaps scotch eggs or mini deviled eggs? I wanted to save the egg shells, especially the duck eggs, so I carefully blew the contents out using the flavor syringe. The shell of the duck egg is much tougher than the hens eggs. The yellow of the bantam eggs was the deepest yellow, almost orange, in contrast to the pale creamy yellow of the goose egg yolk. 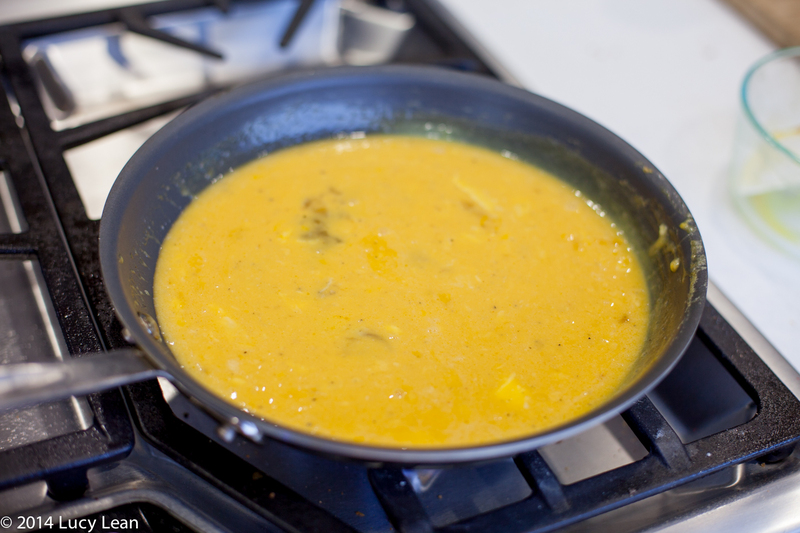 In a large nonstick All-Clad frying pan I put a large knob of butter and let it melt over a medium heat. In a bowl I whisked the eggs together and added them to the pan with some salt and pepper. Over a medium to low heat I gently cooked the eggs stirring in a figure of eight with a spatula as it cooked, scrapping off the bottom egg that was cooking and mixing it in. 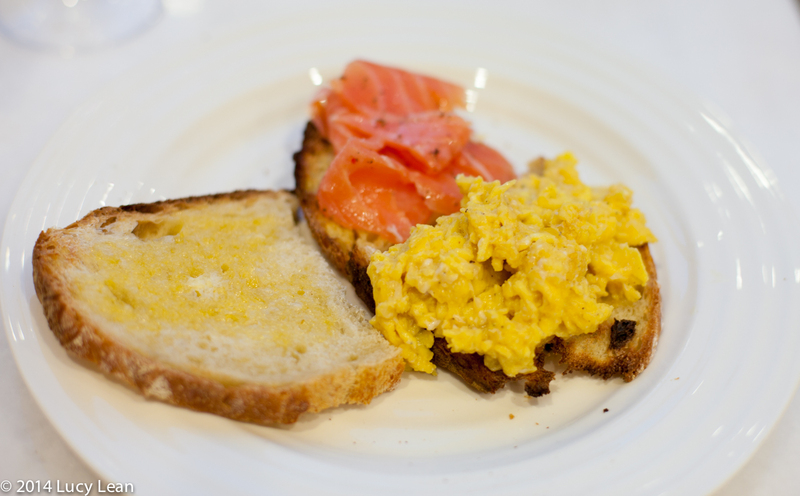 I buttered some pieces of homemade bread that I toasted and squeezed fresh lemon juice over some smoked salmon. When the egg was almost cooked but still a little soft I divided it between the plates. Some members of the family like the eggs on the toast and some like the toast on the side – it’s a tough crowd at Sunday night suppers in the Lean Rachou household! The rich silky scrambled eggs were the perfect comfort food as we said good night to Spring Break. Thinking up a few new Camp Cromwell escapades for the summer holidays – which can’t come fast enough. 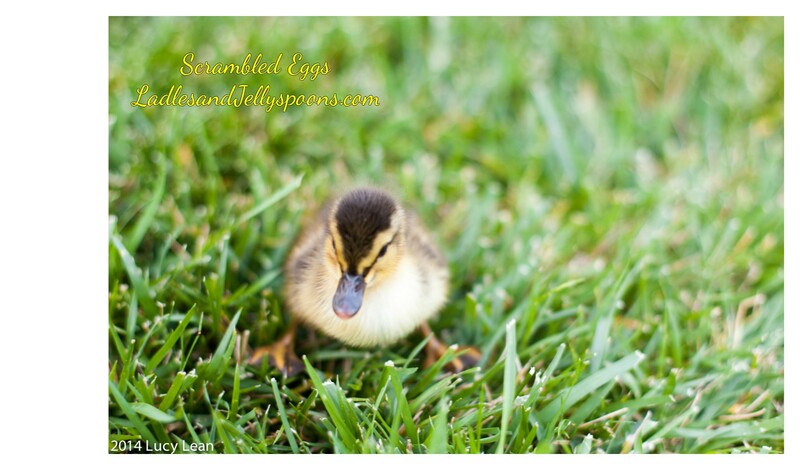 With my nest now empty, this mother craves pool parties, knitting, lemonade stands, cake decorating contests and most importantly egg bearing guests and their duckling rescues. I really think it’s about time I hired Ilse to make me a quail/chicken/duck/ goose coop although I fear she’s rather booked up with all her celebrity clients.